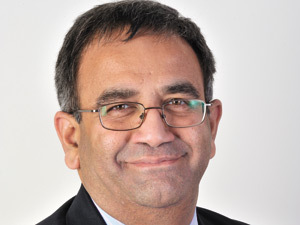 JOHANNESBURG, (CAJ News) – SRINIVASAN Venkatakrishnan has resigned as Chief Executive Officer of AngloGold Ashanti to take a similar role at Vedanta Resources. He will remain in his current role until August 30. A search for the new AngloGold Ashanti CEO is underway. “The board will search globally for a candidate with the requisite experience and breadth of expertise, and who will be committed to maintaining the discipline and value focus that has become a hallmark of this business,” AngloGold Ashanti Chairman, Sipho Pityana, said. Venkat assumed the role of CEO in May 2013. “It has been a singular honour to lead a world-class team at AngloGold Ashanti over the past five years,” Venkat said. South African-headquartered AngloGold Ashanti is one of the largest gold mining companies in the world. It was formed in 2004 by the merger of AngloGold and the Ashanti Goldfields Corporation. It is now a global gold producer with 21 operations on four continents.